HOUSTON (KTRK) -- Get ready Wildcat and Aggie fans! You have a chance to compete against each other to find out who has the best fan base in the AdvoCare Bowl Bash. 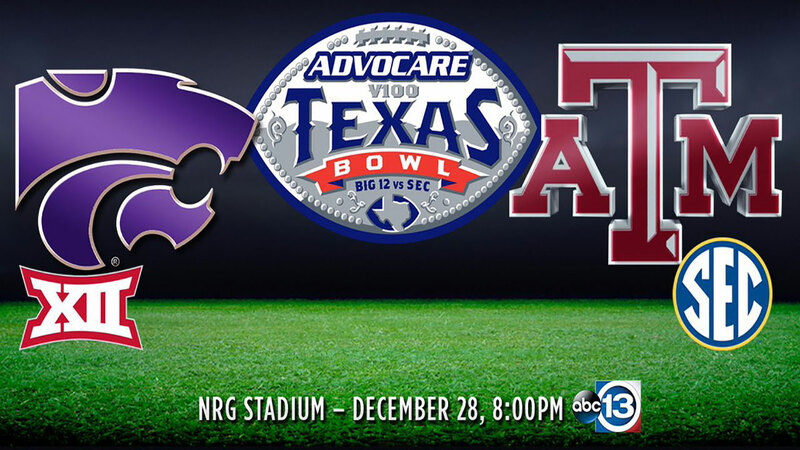 Kansas State University and Texas A & M University football fans will be in Houston for the AdvoCare V100 Texas Bowl this week, and several local bars are hosting contests for fans to crown one one of the teams Bowl Bash champions. Fans will converge in Midtown Houston to compete in contests and win prizes. The AdvoCare V100 Texas Bowl is Wednesday at 8pm at NRG Stadium.